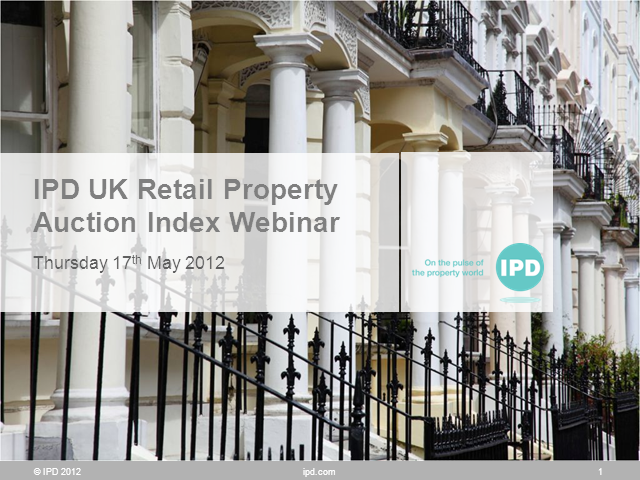 IPD, in association with Acuitus and EIG, are launching a new index based upon the change in retail property values sold at auction. The index will provide greater transparency on price movements observed in the UK auction rooms, which are often seen as a leading indicator for the secondary market. Greg Mansell (IPD) and Richard Auterac (Acuitus) will discuss the Auction Index results and what they mean for the wider market over a webinar.